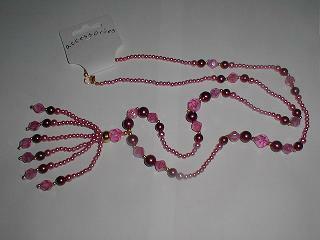 Long Fuchsia Pink Beaded Necklace Complete on Hanging Card as Shown. 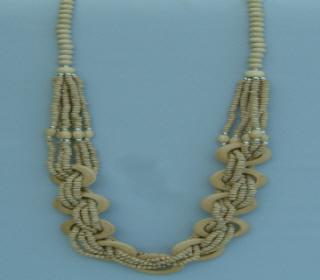 Long Light Colour Wood Beads Necklace. 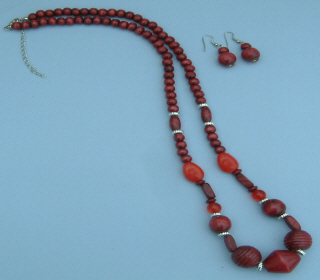 Delightful Beaded Neckl;ace and Earring Set. 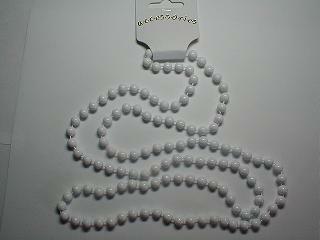 Long White Beaded Necklace Complete on Hanging Card as Shown. 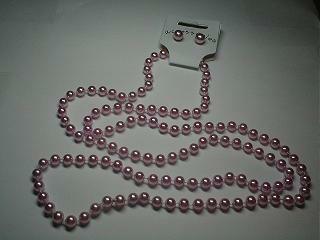 1.Very Pretty Pink Double Row Silver Tones and Beaded Necklace. Complete on Hanging Card as Shown. 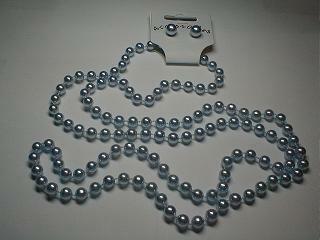 2.Very Pretty Blue Double Row Silver Tones and Beaded Necklace. 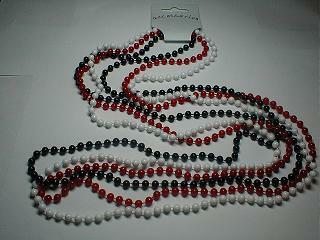 Lovely and Long Set of 3 Beaded Necklaces in Red, White and Navy Blue. 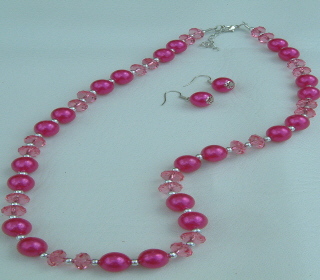 1.Delightful Pink Pearls Very Long Fashion Necklace and Earrings Set. 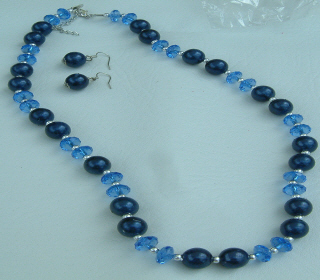 2.Delightful Blue Pearls Very Long Fashion Necklace and Earrings Set. 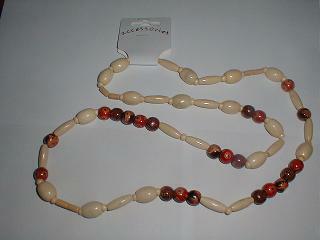 Lovely Long Cream and Red and Brown Patterned Wooden Bead Necklace. 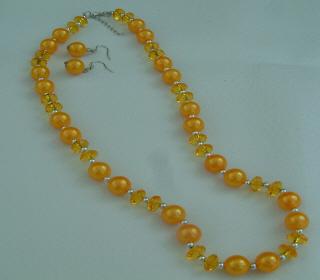 Complete on Hanging Tab as shown. 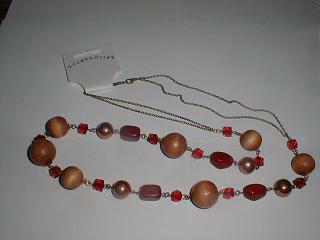 Delightful Gold Ball Beads and Red Sparkling Square Beads and Wood Beads Long Necklace on a Double Necklace Chain. 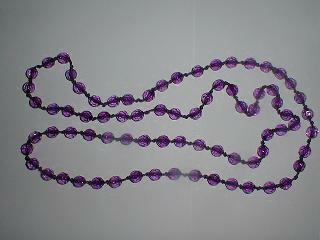 Lovely and Very long Purple Faceted Beaded Necklace. 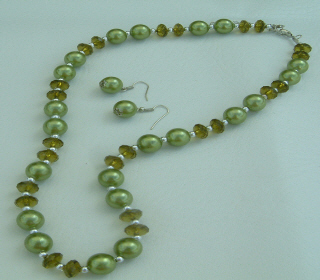 Complete on a Hanging Tab. 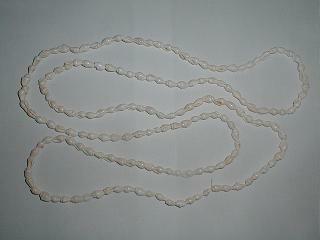 Lovely Pastel Colours Shell and Bead Necklace on Elastic. 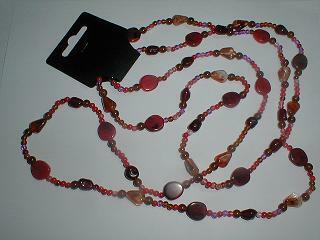 Delightful Long Shell Disc and Tortoise Shell and Multi-Coloured Beads Necklace. 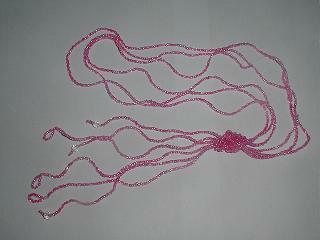 Delightful Pink Seed Bead Long Necklace with Knot Detail. 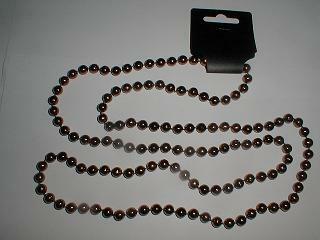 Comes on Hanging Card with Euro-slot. 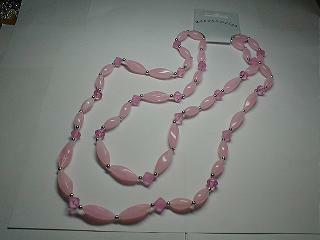 I.Delightful Pink Seed Bead Long Necklace with Knot Detail. 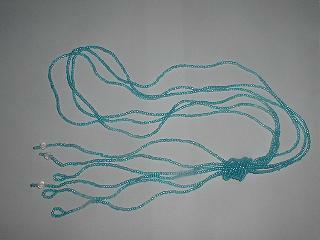 Delightful Blue Seed Bead Long Necklace with Knot Detail. 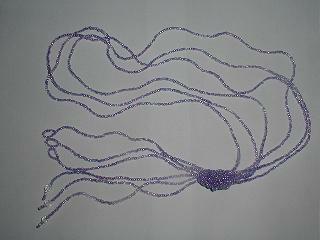 Delightful Lilac Seed Bead Long Necklace with Knot Detail. 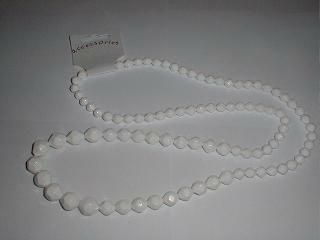 Lovely and Long Large Bead White Faceted Graduated Bead Necklace. 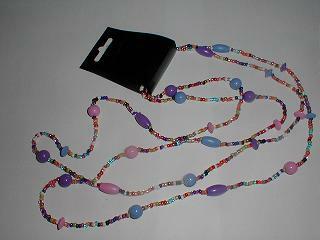 Lovely and Long Pinks/Lilacs/Blues and Multi-Coloured Bead Necklace. 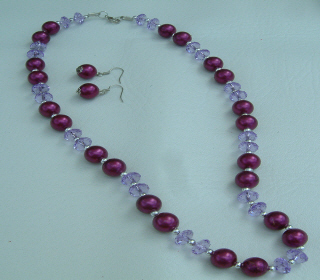 Delightful SPARKLING Pinks and lilacs Long Beaded Necklace Chain. 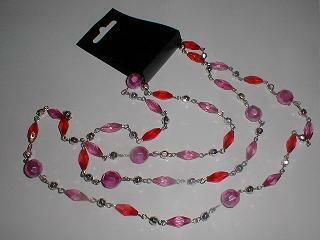 T.Delightful Pinks and lilacs Long Beaded Necklace Chain. 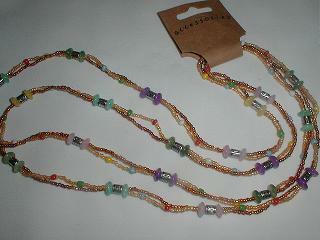 Lovely and Long Multi-Coloured Wood Seed Beads Necklace. 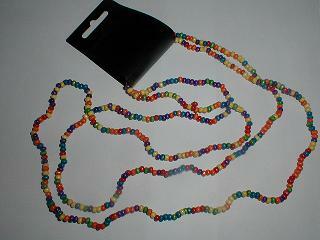 T.Lovely and Long Multi-Coloured Wood Seed Beads Necklace. 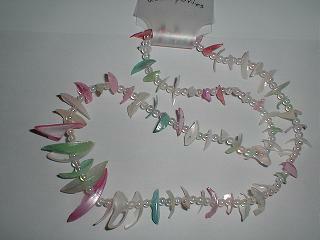 a.Delighful Silver Tones and Pink Hearts Anklet and Toe Ring. 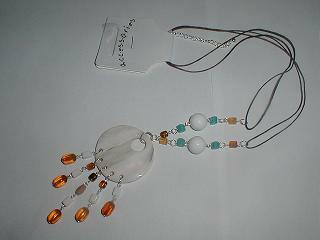 Complete on Hanging Card as Shown and Cellophaned. 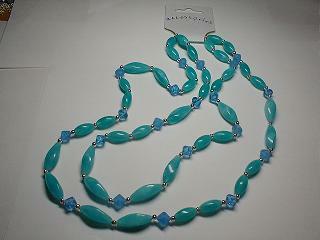 b.Delighful Silver Tones and Blue Hearts Anklet and Toe Ring. 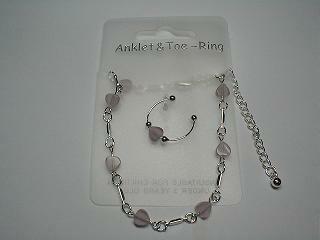 c.Delighful Silver Tones and Amethyst Hearts Anklet and Toe Ring. 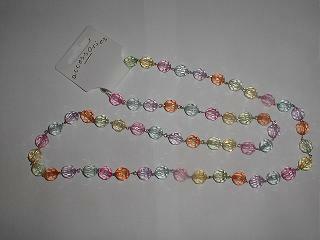 Delightful and Long Multi - Coloured Pastel Faceted Beads Necklace. 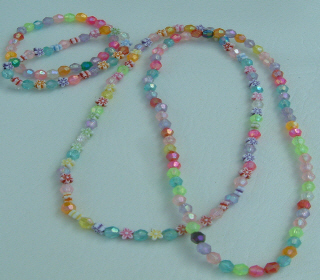 Delightful and Long Multi - Coloured Pastel Beads Necklace. 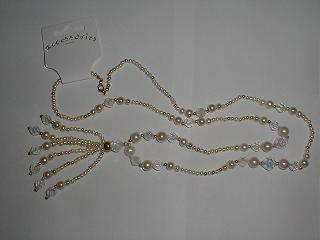 Delightful and Very Long Cream Pearl Beads and Gold and Clear AB Beads Fashion Necklace with Pearl Spray on the End. 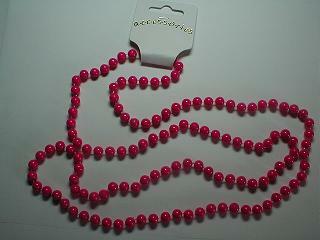 Delightful and Very Long Pink Pearl Beads and Gold and Pink AB Beads Fashion Necklace With Pearl Spray on The End. 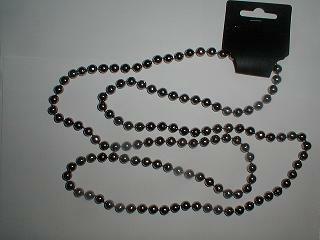 Complete on Hanging Tab with Euro-Slot. 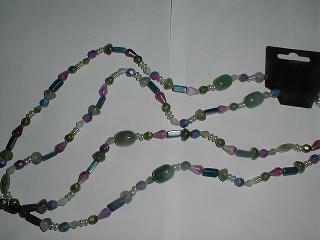 Really Lovely and Chunky Lilacs and Greens Tones Long Beaded Necklace. 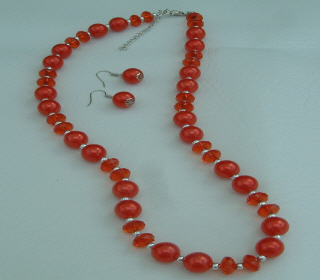 Delightful Red/Amber and Multi-Coloured Beaded Long Necklace. Complete on Card as Shown. 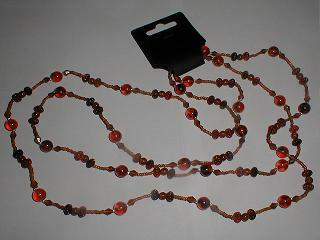 Lovely Very Long Tortoise Shell Coloured Beaded Necklace. Complete on Display Card as Shown. 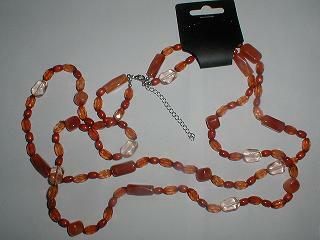 Lovely Long Two Row Chunky Amber Coloured Beads Necklace.